In the past few years, technical information development shows and conferences have been looking closely at topics surrounding Industry 4.0 or Smart Factory and its impact on technical communication and standards. Presentations, articles, and innovations relating to Industry 4.0 abound in Europe. Various national and international initiatives are considering the topic (see the map of initiatives in Europe below). 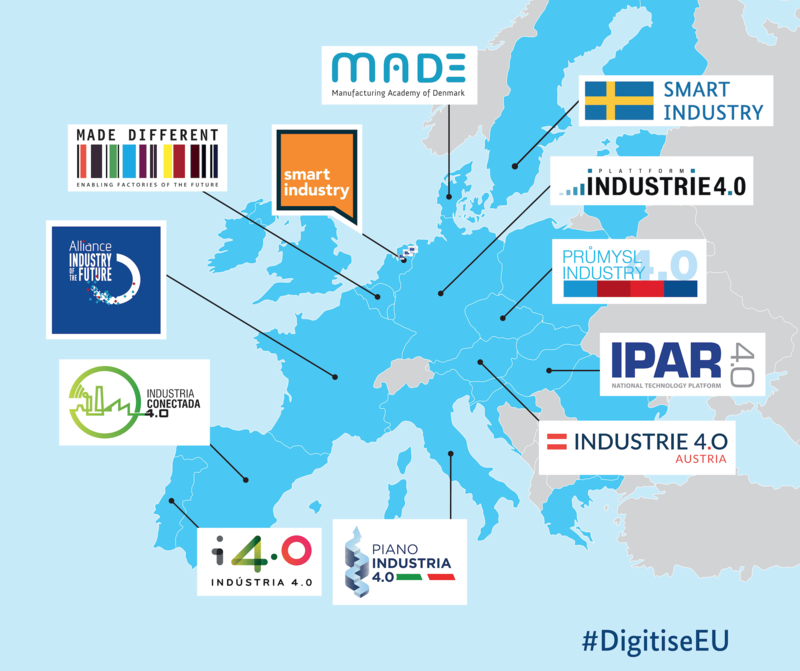 In Germany and Switzerland, they talk about “Industry 4.0,” in France about “New Factory,” in Belgium about “Future Industry,” and « Smart Factory » in the UK. All of these terms embody one idea that brings together automation and data exchange in such a way that it has also been called the fourth industrial revolution. Industry 4.0 has become a rising topic in Europe, and is managing the transformation of aging manufacturers. This fourth industrial revolution aims to leverage differences between the physical, digital, and biological spheres by integrating cyber-physical systems (smart systems) and the Internet of Things, big data and cloud computing, robotics, artificial-intelligence based systems and additive manufacturing. Industry 4.0 looks to increase not only interactions between machines, but also between users and machines, both in production and post-production. In this exchange of information between manufacturing and the user, information needs to travel from platform to individual devices and be able to handle each context that it may face. An easy example is to pick up the version and language setup on the device and display the information accordingly. Interconnected production units and connected devices create an opportunity for massive automation and will stress the need for smart content. Interestingly, semiconductors are key players in the system because they are at the beginning of this trend. Much of IoT and Big Data will be based on real-time information provided by the machine sensors and readers. These can be used in the production factories and beyond, for logistics, for example RFID (Radio Frequency Identification) labels applied on packages, badges carried by human operators in order to identify their roles, or on machines to best organize the configuration for a defined production, the machines’ status for the next maintenance tasks, etc. These sensors will be equipped with key components; most importantly, new semiconductors chips. The intense economic pressures applied to semiconductor firms in recent years has meant that they have had to streamline processes, speed up technical innovation, more nimbly react to customer requirements, and liaise with partners who take their product to build other systems. DITA has been a key component in this process. 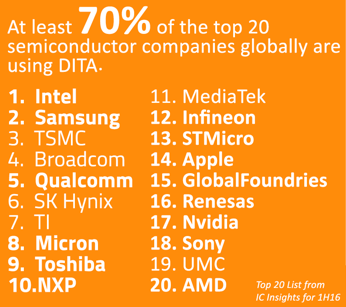 It is worth noting that 70% of global leading semiconductor firms, who are at the core of the IoT business, are using DITA. They are using this international open standard for their own content and in exchanges with customers and suppliers. Due to the prominence of semiconductors in this revolution, DITA has become the de facto standard for the new industry. DITA as an open standard, and offers several major benefits for document production in the semiconductor sector. 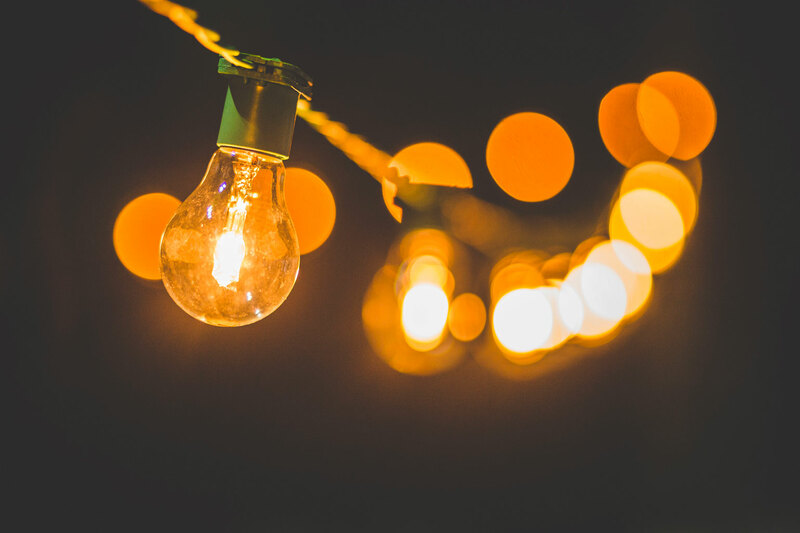 As an open standard, there are no technical, financial or intellectual property barriers to its adoption, encouraging a wide dissemination of the DITA-based innovations. Practically, the specifications are available to any software company that wishes to manage, maintain, create, produce, and transform DITA content. The modularity provided by DITA enables companies to manage topics and reuse fragments and terms, accelerating the processes for content creation and making localization more efficient and cost-effective. DITA has semantic depth and is meta-data rich, making it suitable for machine processing, serialization, and automated assembly. Built-in to the DITA Open Toolkit is the ability to transform outputs to formats which can adapt to just about any platform. Finally, the standard offers a series of topic types and a mechanism for customization, allowing it to adapt the content to the specific needs of the manufacturer while retaining its flexibility and capabilities for content reuse. It is also possible to generalize the standard; for example, if you wish to merge together two document sets easily without keeping their specializations. These factors make DITA—the basis of Smart content—the obvious choice for Smart Factories. 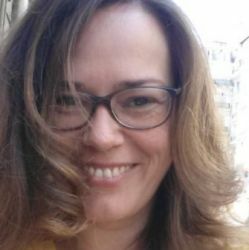 This year’s program of the Documation Conference, an event for business information management specialists, devotes a whole section to Information 4.0. Join IXIASOFT (stand D35), Antidot, The Transformation Society, experts and consultants, in Paris from March 29-30, and be part of the sessions and round tables on the subject. Ask for your free entrance badge: https://badge.documation.fr/.